Sh%#t happens. It isn’t a secret to say that life doesn’t always go as planned nor do things always unfold the way you want them to. Is the glass half empty or half full? How are you perceiving the current situation? What are your coping mechanisms to deal with life surprises and curve balls? Well, the topic is overly discussed that people have reached a point where they would actually question the presence of the glass and would introduce realists into the equation. Realists, THIS ISN’T THE POINT!!!! 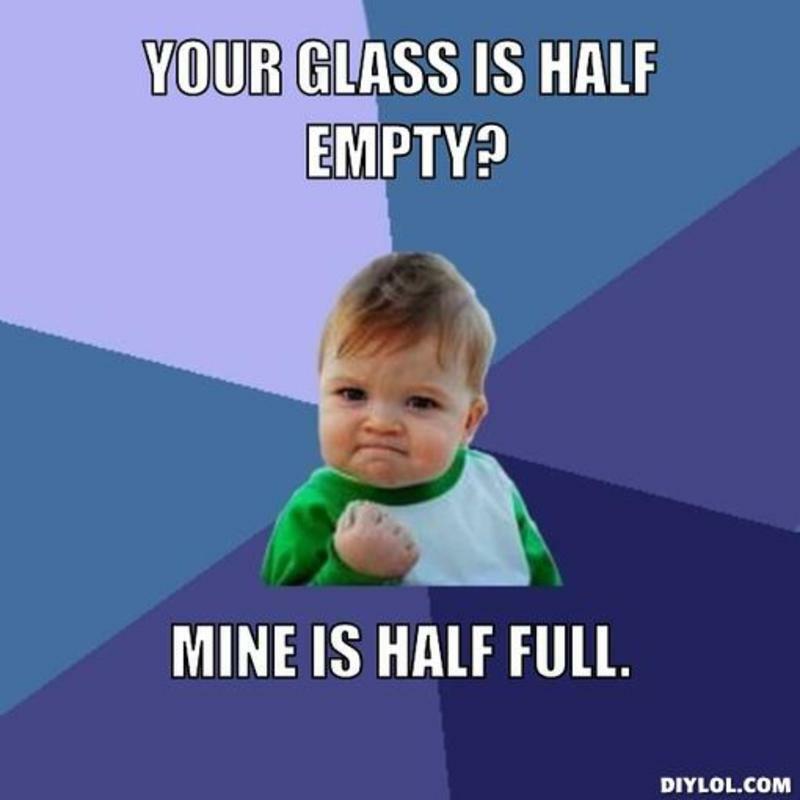 The whole point from talking about the half empty/half full glass is to consider the positive vs. negative point of view and whether you can change that view. 1- when you hear about the situation, breathe. Take a deep breath, listen to the person informing you of the situation, try not to strangle him, and stop your thoughts. Just listen. 2- Give yourself a few seconds to freak out. Swear, curse, scream, just make sure you do it and get it out of your system. This is the only time you can imagine the worst case scenario, let it motivate you. 3- Assess the current situation. What is REALLY the issue. What are you really facing? Identify your problem and try to do it as objective as possible. It’s usually not as bad as you think. Try to focus on the actual situation and not the worst-case scenario you imagined, keep that beast locked up in your imagination. 4- Be creative. Find ways you can reduce the negative impact. Do you need to tell your boss? Can you fix the situation yourself without jeopardizing your job? Try to dismantle and reassemble the different parts of t he situation. 5- Communicate. You can have different creative ideas in your mind but you wouldn’t know what would work if you don’t communicate. Ask. We usually don’t get what we want because we don’t ask. Emails should include an actual request to do something, you shouldn’t assume the other party is a mind reader. Nor is the other party powerless. You would be surprised that people are usually logical beings, they will understand that the 5000 flashy pink sunglasses you ordered will never be sold and might be able to exchange them for you if you agree to pay for shipment. 6- Accept that there is a price to pay. Your boss will probably scold you and you might be listening to what a big failure you are for the next coming months but it’s OK. They will eventually find someone else to badger. 7- Smile and consider yourself lucky you didn’t lose your job. And if you did, you’ll find a better one. Turn lemons into lemonade and consider the glass half full. Life is too short to fret over mishaps at work. You have your family and your health. Worst case scenarios are always worst in your head and when it comes down to it, you’ve learned something.